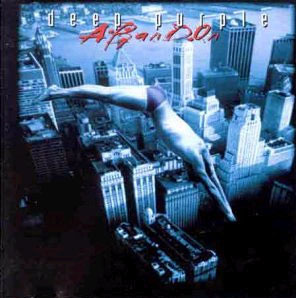 Abandon is the sixteenth studio album by Deep Purple released in 1998. The album title is actually a pun from Ian Gillan – "A Band On" – and the album was followed by the "A Band On Tour". Uniquely for a Deep Purple studio album, it features a reworking of a previously recorded song -"Bloodsucker" from Deep Purple in Rock (here re-titled "Bludsucker"). "Don't Make Me Happy" was mistakenly mastered in mono, and not amended on the final release. The album was recorded at Greg Rike Studios, Orlando, Florida, during 1997/98. Engineered by Darren Schneider. It was Deep Purple's last studio album with founding member Jon Lord.